In 2011, I had the opportunity to visit Seoul, South Korea and explore the Seoul Ditch, as I like to call it. It is better known as the Cheonggyechon Stream. The rehabilitation of the river was done in an excellent manner by providing a bit of rural space within a city for people to walk and explore. 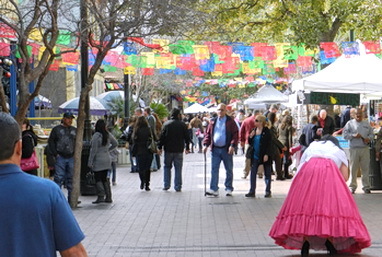 In February 2012, I had the opportunity to return to San Antonio, Texas and revisit the River Walk (Paseo del Rio). The last time I was here, was a couple of decades ago with my then, 12-year-old daughter as I attended a conference. Two weeks before Christmas, we sat at a restaurant table adjacent to a stonewall that lined the river. Candles were burning in brown bags placed closely together on the top of the River Walk stone walls. A very picture perfect scene it was. On the way from the airport to the hotel, the taxi driver was relating a story on the expansion of the River Walk, the supposed cost, the taxi service on the river, and other information that a tourist wants to hear. 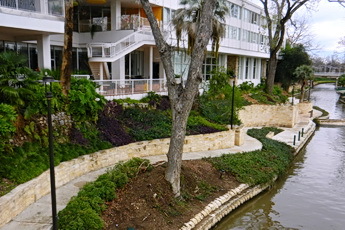 From a modest beginning, the San Antonio River Walk is now about 8 kilometres in length with some additional branches connecting points of interest. 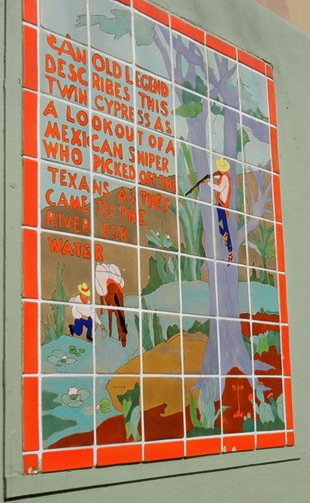 started to develop the River Walk, as we know it today with Texan or Mexican architecture, riverside businesses, and landscaping which encompasses 17,000 assorted trees, shrubs, vines, and ground cover. The Walk is fashioned after the early architecture was finished primarily in stone. With a walk in each side of the river, one passes through treed landscape in calm and peacefulness. 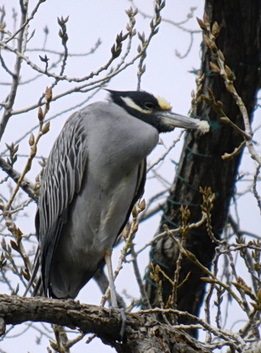 Herons sit in trees above the water. Historic and more modern buildings line the Walk with entrances from the river. Taxi stops are conveniently located to hop on a riverboat and continue the journey by water. The noise of downtown, is lost among the foliage and river. 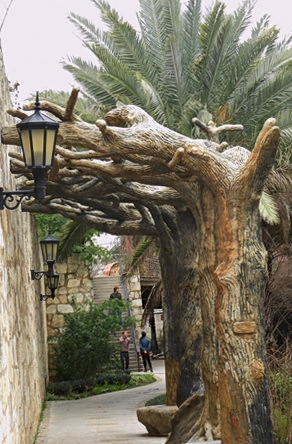 The Walk is divided into the peaceful stretches and tourist commercial sections. Here one can later, sit by the river, enjoy a meal or a drink and listen to the sounds of a Mexican band. In the park-like sections, one can wander, sit and contemplate, look at flowers and trees, view wall art, read about the local history on wall plaques, and find oneself on the Walk maps that line the river. Cars pass unnoticed overhead as streets cross. 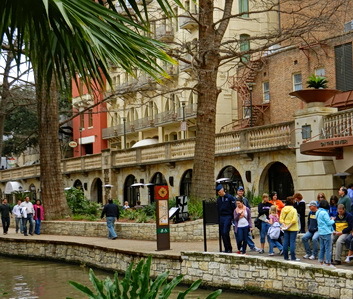 The River Walk is well connected into the downtown commercial area, including the plaza at City Hall and to the Market, sometimes by landscaped connections, sometimes by staircases with direction signage. Establishments extend to the Walk providing services, drink, and food. A set of stairs leads to a local art community. Other public venues are touched by the Walk. Compared to Cheonggyechon Stream, the River Walk lacks sufficient public space along the riverside for programming and for people to gather for events, except for the city hall plaza which is half-block away. The walkways are meant for pedestrians, although one sees an occasional cyclist on the paths. The walkways do not have the capacity for people wishing to experience the river in a peaceful manner, without being crowded. The river is a tranquil place. A bike path along it would increase the attraction and the use of the public bike system. Wave Cycling Blog. Nov. 7, 2011. What an interesting Leap Year post, Jack. Thanks for sharing it along with the images. I’m looking forward to the day we adopt the Hanke-Henry Permanent Calendar. The proposed permanent calendar has a predictable 91-day quarterly pattern of two months of 30 days and a third month of 31 days, which does away with the need for artificial day count conventions. I’m making a second comment as I included this post on my read again list. I have relatives in Texas and have never considered visiting them. The summer time temperatures are so high that I’m sure they would confine me to indoor areas where air conditioning is available. If I ever do visit I will choose to do it in the month of February, simply because it’s a bleak and wet month where I live. Everyone I know, save for those who have birthdays in February simply can’t wait for it to be over. I really enjoyed reading this again and viewing the images too. 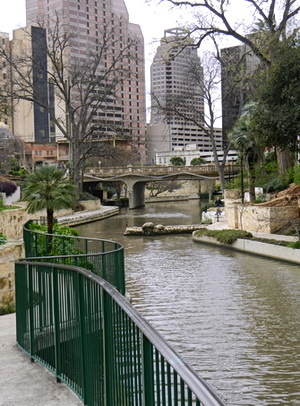 The San Antonio, Texas River Walk looks like something I would like to do some winter in the future. Would recommend that Bluebird blogger be consulted. She lives in the area. San Antonio is fascinating because according to her, it has retained part of the Mexican influence in a graceful way which is integrated in its self-expression, arts, and in some long-time residents there etc. Very different compared to other parts of Texas. There will be a series of posts on Austin, TX, where Becker was graciously given a cycling tour by their municipal (or was it cycling advocacy?) transportation planning staff. Might be awhile before the series get published. We have both been to Sante Fe, New Mexico and beyond, which of course has Spanish influence as well as expression of the Southwest native Indian culture. Canada does not have much historic Spanish influence in any its history, culture or architecture. Let’s see, we are left with the Juan de Fuca Strait of which there maybe renaming to more aboriginal roots, “Salish Sea”, off the coast of southern British Columbia. Thanks for the follow-up comment. You’re right. There’s very little historic Spanish influence here in Canada. I live on an island in the Salish Sea and love where I live but the only Spanish history we have is place names. I’ve been to Mexico and I would like to travel south one day and soak up some of that Spanish history.